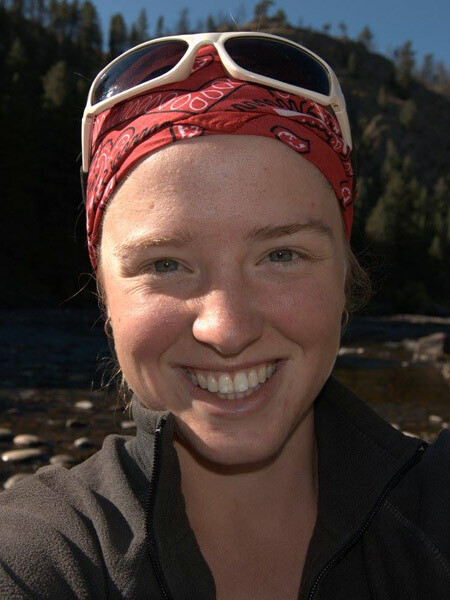 After earning her master’s degree in environmental science in Indiana, Katharine Hogan worked as a vegetation field technician in the temperate rainforest in Washington, the Great Basin Desert in Nevada, the Chihuahuan Desert in New Mexico, and the sagebrush steppe in Idaho before coming to Nebraska to work in grasslands. Now a doctoral student studying plant community ecology at the University of Nebraska-Lincoln, she finds she is the one who has taken root. Hogan worked as a Hubbard Fellow at The Nature Conservancy in Nebraska from 2016 to 2017, and then professor Craig Allen encouraged her to apply to the NRT at the University of Nebraska-Lincoln. She applied and became part of the first cohort of students. She is now studying how prairies change over time after disturbances. In the past, she has observed that after a disturbance like a drought, more common species in an area may become less abundant and less common species then become more abundant, “compensating” for the more common species until they recover. 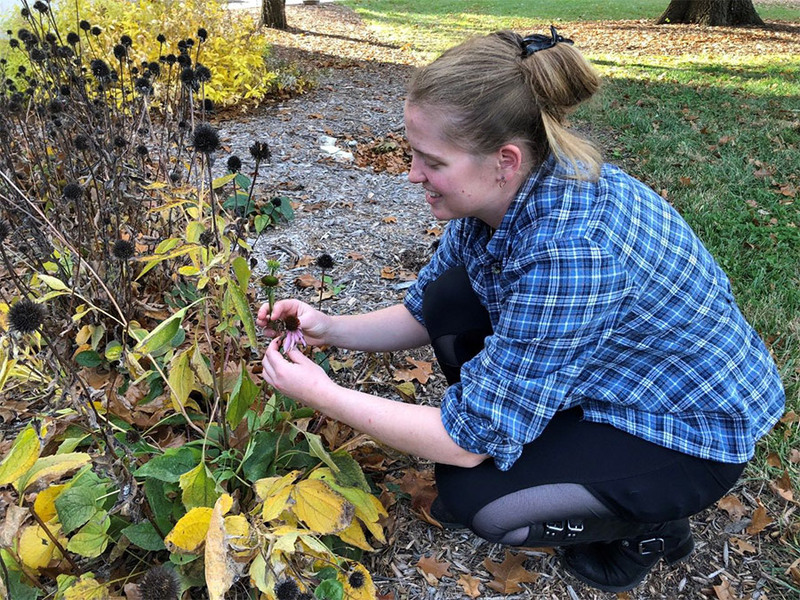 She wants to look further at this and the plant traits that affect their greater environment and provide ecological services to humans and wildlife. With this information, scientists could better forecast how plant communities and the ecological services they provide to humans will respond to disturbances such as climate change. Hogan says this information could be especially valuable to grassland managers. Grasslands provide many benefits, among them feeding cattle, improving soil fertility, and cleaning groundwater. Grassland managers maintain healthy grasslands by burning them and grazing them, just as wildfires and bison did years ago. She says this “dynamic” aspect of grasslands makes them more interesting to her than other plant communities, like the forests of Vermont where she grew up. 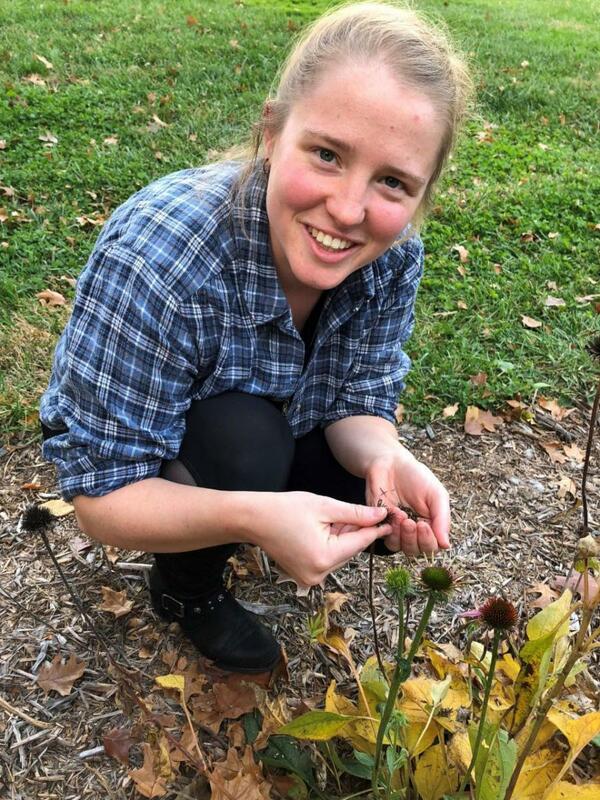 She hopes these research experiences will help her land a position as a staff scientist at an international conservation organization like The Nature Conservancy. She already is a fourth-generation conservation scientist, following in the footsteps of her mother, who homeschooled her through high school, and her maternal grandfather and great-grandfather. She says she will not return to work as a seasonal field technician even though she enjoyed her time working in many different ecosystems across the country.